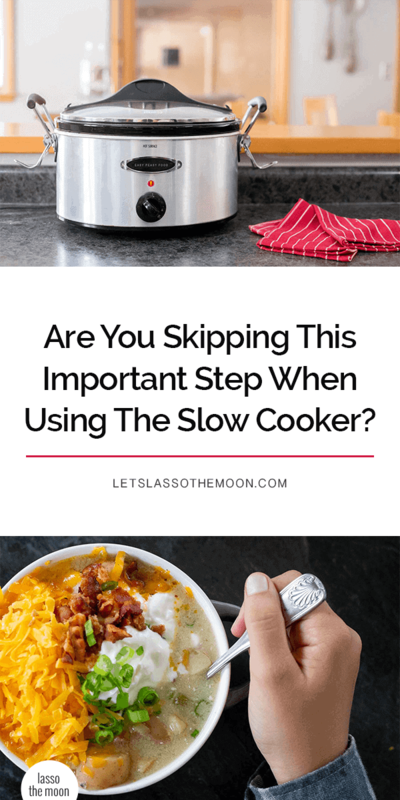 Are You Skipping This Important Step When Using The Slow Cooker? Your house smells amazing, six hours of simmering and it is time for supper. A slow cooker makes family dinners super-easy, but are you missing this crucial ONE step when you make one-pot meals? A big thanks to Meijer for sponsoring today’s post. It’s been one of those chaotic days . . .
And an after-school kid-pickup during an unrelenting downpour. My rain-soaked girls chatter in the back seat of the car as we head home after what’s been a looooong day. As I pull in the garage and step out of the car, a damp shiver runs up and down my spine. My shaking hands grip my coat closed even tighter. I open the back door of the house and the girls push their way inside. Then, it hits us . . . The savory, steamy air coming from the slow cooker in the kitchen — it enters our lungs and warms up our chilly, rain-drenched bodies and uplifts our spirits in mere seconds. The craziness of the day just melts away . . . We’re home and we’re happy. There are certain cold-weather staples that simply warm your soul. I admit, that phrase seems cliché, but it’s hard to articulate that feeling. Certain recipes “take you home” no matter where you are or what your age. For me, those recipes usually involve the slow cooker. No matter how colorful and enticing your ingredients look going into the slow cooker, once finished, the recipe often ends up coming out a bit monochromatic. Add a dash of love to your slow cooker dinner. Here’s a simple truth: We eat with our EYES before we actually taste a recipe. We put more effort into the presentation of our recipes. But we often skip these gestures when feeding our immediate family. I know you’re busy, but . . . ANYTIME you buy ingredients to make a slow cooker meal, be sure to pick up a fresh garnish. Take that monochromatic slow cooker meal (that is delicious!) to the next level! Any time you make dinner in the slow cooker, add some fresh, green POPS OF COLOR right before serving. That dash of green will take your slow cooker meal visually from dull to WOWSVILLE in a mere sprinkle. When we shop at Meijer for slow cooker recipe ingredients, we like that we can grab ANY True Goodness product from the shelf and know it is non-GMO and free from artificial flavors, colors, preservatives and sweeteners, and hydrogenated oils, antibiotics, and steroids. No more wasting time reading labels! Check out the 400 different wholesome and organic products they offer — so cool. Beyond adoring True Goodness, we love that so much of the produce is grown locally. Did you know that the green onions at Meijer are grown right here in Wisconsin and Michigan? In other words, they’re extra fresh! It makes me smile knowing as a store ambassador that Meijer supports over 250 local growers throughout their 6-state Midwest locations. Plus, my kids always love looking for the Local Growers signs to SEE the farmers we’re getting our produce from! What I particularly dig about using fresh greens as a garnish is that my kids can enjoy the honor of this final prep step. When you’re making your slow cooker recipe, dice the bottom, white portion of the scallions for the recipe itself, and then slice and reserve the green tops to use as your dish’s garnish later. 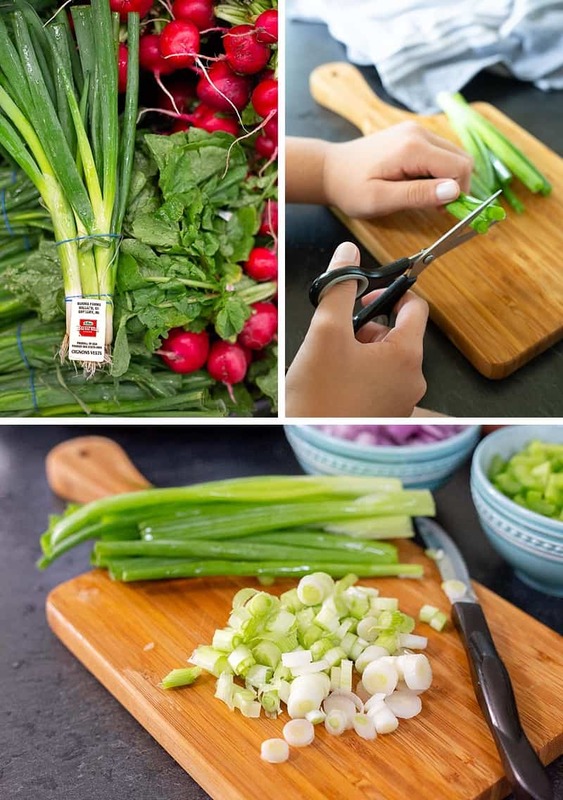 You can give your little kid a pair of freshly washed scissors to have them “chop” fresh scallions (or chives) for a dinner topping. I promise, your kiddo will be honored to participate. My tween STILL loves this task when we make slow cooker meals. It’s like playing MasterChef to see if she can come up with a new presentation style we haven’t seen yet. Go that extra mile. Show your family you care! 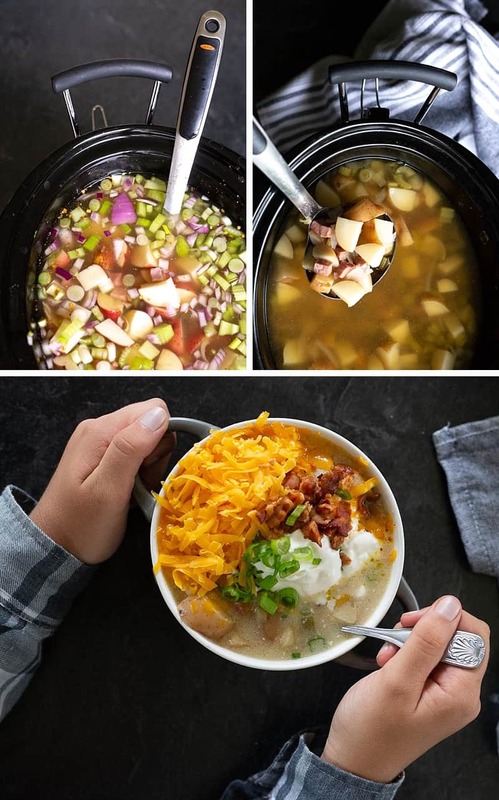 Next time you’re shopping for dinner supplies at Meijer for your slow cooker meal, be sure to grab some local green onions and add a dash of love to dinner. P.S. If you believe family meals should be served with love and laughter, share this on Facebook! P.S. Pin this idea for later!